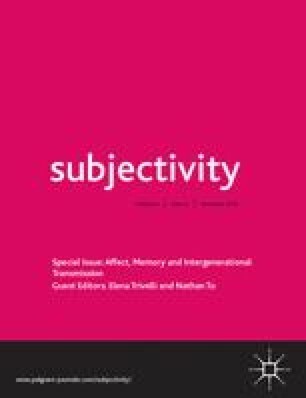 This article uses the philosophy of Félix Guattari to explore subjectivity among environmental consultants. Drawing on his exploration of processes of enunciation in the context of a critical appraisal of ‘assemblage theory’, it looks at how one environmental consultant operates and makes senses of her world, how she understands her practices and beliefs, and how the world around her shapes her existence. In experimenting with refrains that are teased out of fieldwork material, it argues that Guattari’s examination of the production of subjectivity, his insistence on the variable relations between the material and the semiotic and the role that refrains have in disclosing complex territorial relations offer a useful counter to the homogeneous and abstracted register of meaning production that is presumed in much interpretation of qualitative interview data. The case of environmental consultants is developed as an example of the complex and contingent qualities of market action, contesting a view of the ‘market actor’ as the profit-hungry, value-free agent imagined by commentators on the nature of capitalism. Our Guattarian reading leads us to recognise the complexity of subjectivities formed at interstices of ‘markets’ and ‘nature’.